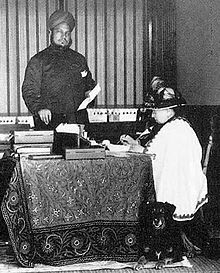 In today's blog, I want to discuss a historical source unknown to many people: the journals of Queen Victoria (1819-1901), Queen of the United Kingdom and Ireland, and Empress of India from 1876. This online resource was completed in 2012 and is now free to access for residents of the UK. It offers fascinating insights into the life of the longest serving British monarch to date, and some fascinating asides from which to reconstruct nineteenth-century society and culture. Queen Victoria started writing diaries when she was aged just 13 years old, using a book given to her for the purpose by her mother. "This book, Mamma gave me, that I might write the journal of my journey to Wales in it", she wrote, starting a habit that lasted from 1832 to the monarch's death in 1901. These were not initially the private record we associate with teenager diaries today; her mother inspected the diaries every day, until Victoria became Queen. 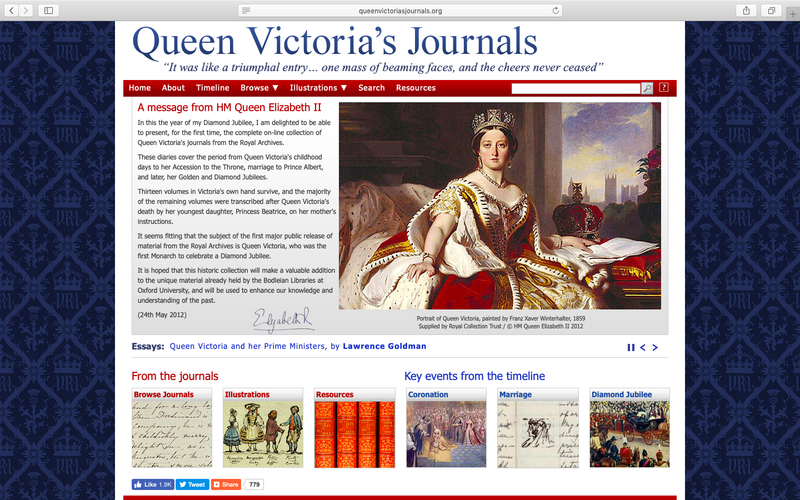 The journals detail many aspects of Queen Victoria's life, from her love affair and marriage to Albert (and her devastation when he died) to matters of state, her love for her family, and her relationship with her family, friends and acquaintances. Thirteen of the volumes in Victoria's own handwriting survive. Many of the remaining volumes were transcribed after her death by her youngest daughter Beatrice, who followed her mother's instructions (and perhaps her own idea of propriety) in removing sections that might prove controversial. Most of the originals from 1840 were then destroyed. during the final 14 years of Queen Victoria's reign. All together there are 131 surviving volumes of Queen Victoria's journals, totalling over 43,000 pages. Until recently this material was only accessible by visiting the Royal Archives. The diary entries appear as scanned copies of Victoria (and Beatrice's) own handwriting, accompanied by typed versions that make reading simple. Searchable by keyword, the online materials allow detailed study for historians and researchers, and make fascinating reading. 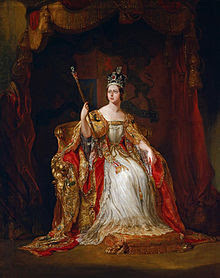 On 28 June 1838, for instance, a young Victoria records her experience of her coronation, a day that was marked by relative economy, just 18 years after the extravagant coronation of George IV. Visitors thronged to London, delivered by the new railway system and around half a million people were said to have gathered to watch proceedings, entertained by a balloon ascent and a firework display in Green Park, and illuminations and a fair in Hyde Park. The event did not go quite as planned - there had been no rehearsals, and the train bearers kept falling over, and there was a lot of uncertainty about who should stand where. The Queen complained that the Bishop of Durham was hopeless and had given her no instructions, nor had the Archbishop 'who (as usual) was so confused and knew nothing' that he put the coronation ring onto the wrong finger. While the attending crowds were excited by the pomp and ceremony, not all agreed with the money being spent, or the extravagance of the occasion. The writer and economist Harriet Martineau, described the peeresses she saw in Westminster Abbey as 'Old hags, with their dyed or false hair drawn to the top of the head, to allow the putting on of the coronet, had their necks and arms bare and glittering with diamonds, and those necks and arms were so brown and wrinkled as to make one sick'. At 9.30am she dressed in her 'House of Lords costume' and soon after got into the State Coach. 'It was a fine day, and the crowds of people exceeded what I have ever seen, many as there were, the day I went to the City, it was nothing - nothing to the multitudes, the millions of my loyal subjects who were assembled in every spot to witness the Procession... I was alarmed at times for her that the people would be crushed and squeezed on account of the tremendous rush and pressure'. Once in the Abbey, Queen Victoria took notice of the clothes her attendants were wearing and the faces and expressions of the people who attended her. She seemed giddy and excited and touched by the emotional response of her 'excellent Lord Melbourne [who] stood very close to me throughout the whole ceremony'. He had been 'completely overcome ... and very much affected; he gave me such a kind, and I may say, fatherly look. The shouts which were very great, the drums, the trumpets, the firing of the guns, all at the same instant, rendered the spectacle most imposing'. 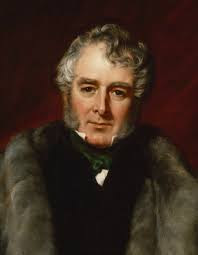 William Lamb, 2nd Viscount Melbourne was the British whig statesman who served as Home Secretary (1830-1834) and Prime Minister (1834 and 1835-1841). It has been rumoured that Victoria was in love with Melbourne and even proposed to him, but in the diaries her affection for him was protective and fond, more like that of a daughter for a father. Celebrations continued well into the evening on the day of the Coronation, and Melbourne asked Victoria whether she was bearing up, concerned she might be over-tired. He complained that the Sword of State that he carried was very heavy and Victoria said that her Crown was also heavy and 'hurt [her] a great deal'. She stayed in the drawing room until 11.20pm that evening, talking to Melbourne and others, then remained on a balcony to watch the fireworks in Green Park until midnight. The following morning, Queen Victoria got up at 10.30am and breakfasted at 11.30. Lord Melbourne 'was very far from well... he looked so pale and weak and his poor eyes so suffering.' She expressed concern that the Coronation had been too much for him, as he hadn't gone to bed until 1am. Melbourne assured her that he had prepared himself for a long day with a 'strong dose of brandy and laudanum'. To find out more about Queen Victoria's relationship with Melbourne, and her experience as monarch, as well as her views on the politics and literature of the day, check out the journals online here. Reading the diaries also allow us access to the language and literary conventions of the day, which are useful to writers of history and fiction alike. Let me know what you think in the comments. And if you find anything unexpected, do share!